CS:GO is a game that glorifies the super-stars – the players that sink unimaginable chunks of their life to perfecting the basics, refining the unimaginably microscopic flaws that may exist in their play and travelling around the world in a perpetuated state of counter-strike. A young man who exemplifies this commitment to honing his craft is Bosnian native Nikola ‘Niko’ Kovač. Fans and analysts alike hail Niko as ‘the complete package’ being not only the super-star carry of his team – but also the in-game-leader of the side, secondary awper and best deagle player in the world. The fullness in his game extends beyond just his role within his team – mousesports, but into the metaphysical. Seemingly oblivious to the pressure and importance of life-altering games; Niko consistently manages to maintain a superfluous level of play from the outset of a tournament to its end. Furthermore, his willingness to work with a wide variety of teammates ranging from all different skill levels and personalities separates him from great players that have personality issues holding them back (looking at you S1mple); and puts him in a clear league of his own. Unlike his predecessors that held the title of being the best player in the world, such as Olofmeister, Guardian or Dev1ce – Niko’s team is not one of the best in the world, in fact by most accounts, mousesports is not even within the top ten. So whilst Niko at this point in time might be the best, this peak in form comes with the unfortunate caveat that he does not have the team to rally around and facilitate his skill to become a great team. 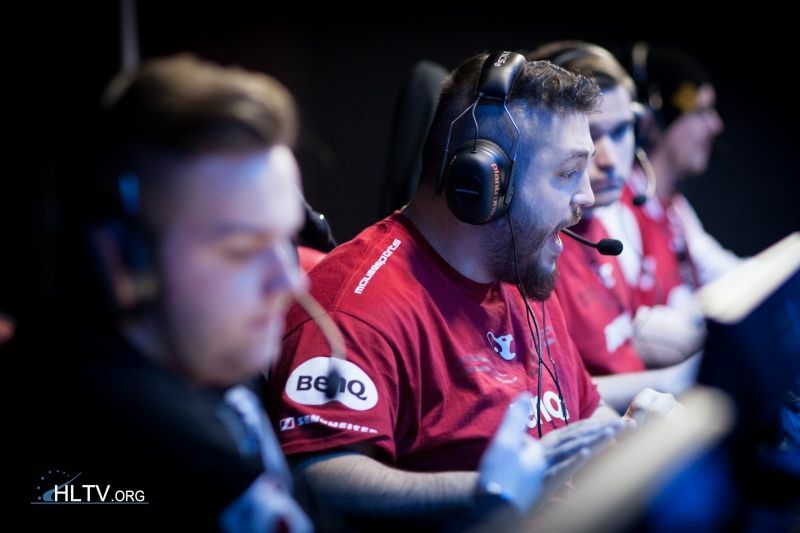 Niko received his first opportunity for international play from German organisation, mousesports, in early March of 2015. The initial success with his induction into the team was solid, with Niko assisting the side in taking a map off Danish giants TSM (now Astralis) at Game Show League Season 2. However there was a clear problem with communication in the squad, with Niko not speaking a word of German and teammate LEGIJA constantly having to translate. So whilst the side had a clear improvement with Niko in the side, the long-term effects of the language barrier proved too much and as such the young Bosnian moved to a stand-in role. Whilst in this limbo of being both a stand-in for mousesports but still on vigilant watch for potential offers, he played as a substitute for both Kinguin and SK Gaming. He hard-carried Kinguin to qualify for the ill-fated Gaming Paradise tournament, and SK to Dreamhack London, on the back of broken English and previously unseen levels of individual play – a testament not only to his clear talent this early on in his career, but also his open-minded compatibility with other teammates. So while Niko was off refining not only his proficiency in English, but also maturing and developing his in-game playstyle, his former team was off showing unfortunate false promise. With the line-up of: Gob b, Nex, Denis, Spiidi, and ChrisJ, the now Nikoless roster showed surprising form at Gfinity Summer Masters I and CEVO Season 8 Pro Finals, off the back of consistent carry performances from nex. This surprising show of form disappeared as quickly as it came however, with nex never finding his sudden resurgence of skill again. So with a lack of firepower and no clear direction, once again the organisation decided to take a chance on Niko, by moving him in for spiidi and making in-game-leader Gob b call in English. Upon re-joining the starting roster for mousesports, the side did not have the initial success it had hoped for. With disappointing results offline at Dreamhack: Cluj-Napoca and online in both ESL ESEA and FACEIT Pro League. It was clear however that the starting roster was where Niko belonged, consistently putting up carry performances that kept mousesports in series or acting as the divine power which tipped games in their favour. 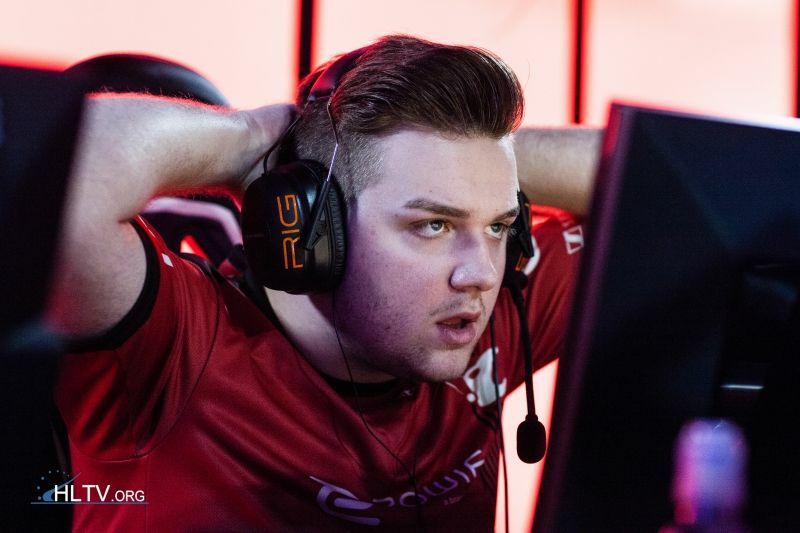 Despite this, his team almost never came up to his high watermark, with both ChrisJ and nex being hailed as the forces that would get around and support Niko’s incredible ability; however ChrisJ infamously earned the title ‘OnlineJ’ and nex was never anything more than an insignificant role-player in big games. A clear staleness had befallen mousesports, so whilst Niko was firing on all cylinders, it didn’t mater if his team wasn’t there. The consistent mediocrity from the side eventually culminated in the departure of veteran caller, Gob b. It was after this change in the roster that Niko went from being considered as a top ten player in the world, to becoming the best. Gob b’s departure left a gaping hole in the mousesports roster in terms of a confident caller and veteran in-game knowledge and strategies . 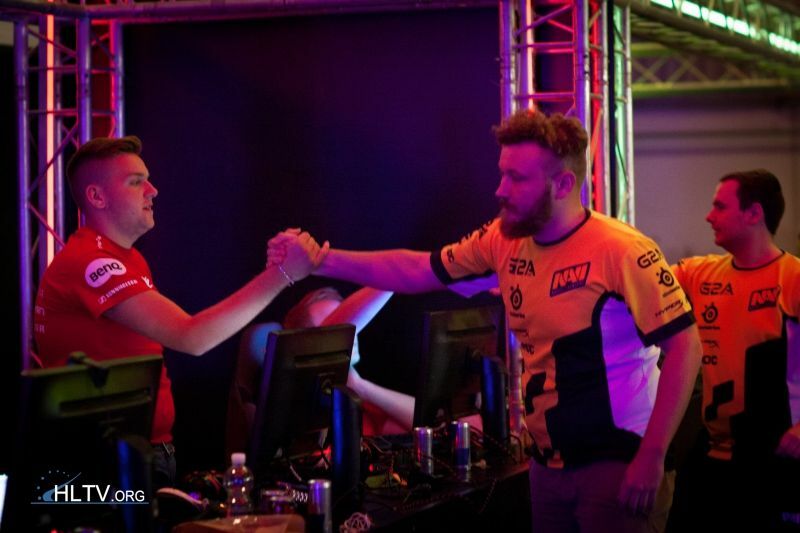 So with no clear option to fill Gob b’s in-game-leadership, Niko stepped up to the plate. Adopting a significantly less tactical system than his predecessor, Niko was not on the same transcendent level of calling the Godb historically had been. That being said, with his own system of how he thought the game should be played (with help from coaches EnkayJ, and Kapio), his individual skill dramatically increased and he could impose his will on to any of the worlds best players, as evident in his first LAN as IGL, Dreamhack Leipzig. Leipzig would be the first of four LAN’s that would define Niko’s greatness and also his unfortunate storyline. Being the first big tournament of 2016, Leipzig would help set the tone for the tournament circuit in the lead-up to the major MLG Columbus. After handily dispatching of Virtus.pro in their first game, Niko and his squad would face a newly branded group of formidable Danes in order to get out of groups in first place – Astralis. The game started out as most mousesports games do, with Niko top fragging and solid default play as terrorists; however the finish to this game was anything but standard. With the game going into double overtime due to an insane quad kill clutch from Niko, mousesports still ended up coming out second best, after Niko’s teammate – dennis, accidently team killed him, which resulted in the loss of a crucial round, and began a collapse of events, leading to a defeat. This loss resulted in the side playing a surprisingly strong Dignitas and being eliminated from the tournament in 5th-6th place. This unfortunate formula of events at Leipzig would set the tone for an eerily similar grouping of circumstances at mousesports’s next big 3 LAN’s: IEM Katowice, MLG Columbus, and Dreamhack Malmo. At Katowice in their final chance to get out of groups against Fnatic, Niko once again played lights out counter-strike. Dropping 42 kills with a 1.59 rating, but still losing in overtime, eliminating mousesports from Katowice in the groupstage. Again at the first CS:GO major of the year – MLG Columbus, Niko remained permanently fixed at the highest frag count, but still was eliminated in the group stage, after a close 2:1 loss to NiP due to Niko fighting an unwinnable battle against the opponent and his own team. Dreamhack Malmo looked to put an end to this seemingly tangential storyline of Niko’s career, with two wins over Luminosity Gaming and North American hopefuls Team Liquid, to slide cleanly into the quarterfinals, where they faced off against GODSENT. However once again in a deciding map, and once again after a career highlight 1v4 clutch, mousesports was beaten 2:1 and sent packing. This permeating story of Niko’s career can be likened to that of the Hellenic tale of Prometheus. The shortened and simplified version being that after Prometheus tricked Zeus and stole ‘fire’, as punishment, Zeus chained Prometheus to a stone and forced an eagle to come and eat his liver every day, only for the liver to regrow over night and the eagle to return every single day. Just as in the myth Niko has albeit not stolen, but taken the title of best player in the world, and as his punishment he must be forced to carry his team to the brink of greatness, only for them to fail him at the last moment, and this process to be repeated every single major LAN until Niko’s insane peak in skill eventually runs out. This is the unchangeable problem that Niko faces, although for one round, half or maybe even a game his team can step forwards and take the pressure of his shoulders, the always ticking timer on his skill remains. So although Niko can already be considered one of the great players in the history of CS:GO, the real question will be how long and how far he can push his team on the back of this incredible peak in performance.